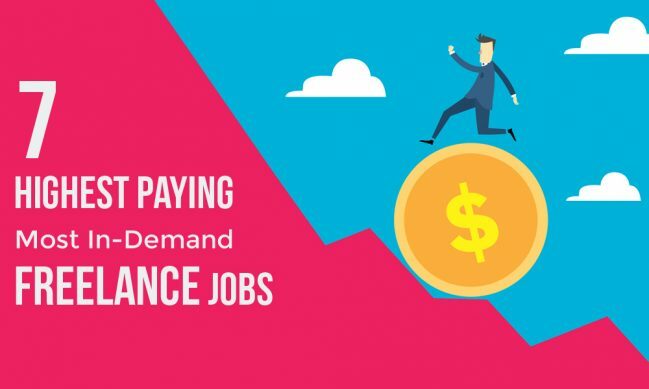 For those of you who are interested in making a steady income or retiring early, here are the jobs that earn the most in the freelancing industry. Meet James Knight, a programmer who left a lucrative job at Google to pursue a career in freelancing. Now, he makes over $1,000 an hour working as a freelance developer. Programming jobs, especially software and mobile app development, pays the highest for freelancers. Only because it’s a skill that’s quite difficult to master and there aren’t many good coders out there. So, the demand for good coders is pretty high. 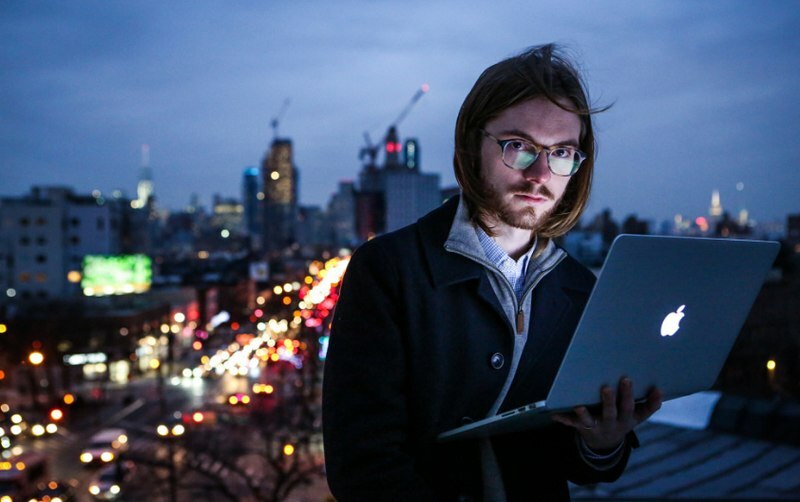 If you want to make an income like James, start learning to code. And I don’t mean learning through free courses on CodeAcademy or Udemy. They’ll only take you through the basics. You’ll need to invest some money and time into learning and practicing to develop proper coding skills. Of course, you won’t be able to start charging $1,000 an hour right away. You’ll have to gradually build up your reputation. If you have solid skills in programming languages like iOS and WebGL, you could start charging somewhere around $150 per hour, or more. According to an UpWork statistics report, PHP Development is the top most in-demand skill of 2015. Web Design ranks at the 7th spot. 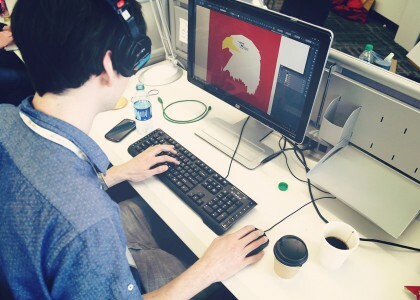 There’s great demand for web designers. But, it’s worth noting that the freelance web design industry is pretty crowded right now because it’s easy to learn web design and start coding websites. Heck, even I did some web design work for a while and started my own web design agency. Spoiler alert! It didn’t go so well. The best strategy would be to find a niche in the field. For example, Jonathan Wold made over $5,000 a month by building websites with WordPress and doing small theme customizations. You’ll probably be able to earn more if you offer the right kind of services to the right clients. Thanks to the boom in online marketing trends and the development of new methodologies, like Inbound Marketing, content writing is now considered as one of hottest fields for freelancers. You don’t need to go anywhere to find proof of how well freelance writers are doing. Take me for example. Right now, I make around $5,000 a month (at least in most months) doing blogging work for businesses, writing, and content marketing work. And I know there are other freelance writers who do much better than me. Although, not everyone can be a skilled writer. You need to write a lot, read a lot, and, more importantly, you’ll need a creative mind to write amazing articles that pay well. Your master’s degree in literature and the A+ essay skills from college won’t do you any good when working online either. Graphic design ranks at number 2 on the UpWork’s most in-demand skills list. And if you look at its top freelancers under the graphic design category, you’ll see some freelancers who make up to $85 per hour doing design work. Infographic design has higher demand these days. Logo design, icon design, and illustrations pay pretty well too. But, like with content writing, to become a quality graphic designer, you’ll need to develop an eye for design. Copywriters are different from content marketers and writers. These freelancers specialize in writing content for website pages, descriptions for products, services, etc. The charge rates for copywriters depend on each freelancer’s level of experience and skill. Linda Formichelli, an experienced freelance copywriter, makes $250 per hour. If you look at UpWork’s list of top copywriters, you’ll notice that they charge between $15 per hour to $100 per hour for copywriting jobs. Freelance video editors in the US earns around $72,000 per year, while more experienced video editors make around $122,000 per year. The demand for video editors in the freelance industry saw a rise in the last few years, thanks to the opportunities presented by platforms such as YouTube, Facebook, and Instagram. If you’re good with putting together video clips and creating awesome video content, this could be a great future-proof career to get into. Social media marketing is an important part of brand and business marketing strategies. Almost every business, including small local coffee shops to big corporate brands, now use social networks to promote their products and brand. This opened up a massive opportunity for freelancers when most of these brands and businesses started looking for people who would manage their social media channels for them. Now, it’s an entire industry of its own. Earnings for social media managers in the US range from $46,000 per year and up to $72,000 per year, according to PayScale. A quick search on LinkedIn brought up over 9,000 job results for Social Media Managers in the US alone. And over 2,000 jobs in India. These days, many people, especially teenagers, are always looking for ways to get rich quick. Maybe all the stories about billion-dollar startup acquisitions and how people make quick millions with smartphone apps are starting to get to their head. As a result of the media hype, they don’t see the valuable message hidden inside all those success stories: It requires Hard Work to make money. Did you think WhatsApp became a $20 Billion app overnight? It took them over 4 years to get there. It took almost 5 years for Mark Zuckerberg to make Facebook a success. He didn’t even make any money through the platform in the first few years. The moral of the story is: Don’t try to follow a career path just because it pays well. If you want to build a steady income and survive as a freelancer, choose to do work that you’re passionate about, work that gets you excited every day, and work that challenges you to learn something new every day. That passion and burning desire inside you will drive you to be better at what you do and improve your skills, and eventually leading you to earn more than ever before. Learn to be patient as well. Because it will take some time before you start earning a steady income. And remember, you’ll only have to work hard for a short while. Then it’ll be like a walk in the park. I am working as a freelancer with Content Writer & Complete Digital Marketing Skills. Can you Give me a Chance to share my Relevant work Samples with your Niche. I am sure You Will be happy with My Quality Work. Hey, Roshan! Thank you for interesting articles. I’d like just to ask you about the current situation. What are the highest paying freelance jobs in 2018? Are they still the same? Great article for persons who want to work as freelancers, can you please help me out that is there and any increasing benefit doing job in SAP. I am also interested in doing copy writing job can you help me with some basic knowledge how to start it. Thanks for the article Roshan! Any idea if Data Analysis lends itself to the freelance industry? I have managed to earn close to 3/4 of my full-time job income with freelance copywriting, so I can vouch for the freelance content writing/copywriting part. Here’s something that I wonder. Are there actually any technical jobs (e.g. car mechanic) that you can take up on a freelance or project basis and still earn well? Some of us might be more technical-based and can’t quite sit still in the office, so I am curious if there are anything in the freelance market that caters to these people. very poor article.. all content is fake.. like you can make 1000$ per hour.. Very nice article. I’ve been an App Developer for almost 30 years. Legacy mainframe to web app in .NET MVC and recent MEAN stack. Even self taught myself Android native mobile. I’ve been sub contracting but the big Walmart with offshore projects have degraded the experience a lot. I’m attempting a shift toward complete remote work. Any ideas of who i should be reaching out to? Any advice on dealing with startups? I’d like to work with companies promoting growth here in the US. You should join Angel List – https://angel.co/jobs and keep an eye out for startups looking for developers. Some startups even offer equity for developer positions as well. With your background, you can easily land a full-time gig with a nice paycheck. Hi! Thanks for the article! I’m reading it in June 2018. I’m a Core Java developer by profession. Which skill would you suggest to develop and freelance which can pay the most? Hi Roshan. I am Latinoamerican. I read your article and I think is very good. I have only a few questions: what do you think, according to your experience, about the opportunities for the freelancers chemical engineers ?. Do you think that I must acquire different skills for work like a freelancer? Thanks for your time. Finding jobs online in your industry won’t be easy. You’ll stand a better chance if you focus on targeting local companies to offer your services as a freelancer. If you’re going to work online, you should learn a more profitable skill. However, you can join online teaching websites to tutor students using your knowledge. thank you for your great mind to help mankind. recently i create account on upwork. i have some experience on ArcGIS and QGIS, Google earth mapping, KOBO and ONA , database management, data visualization and also data entry. but how can i got client easily? and how can i earn at list $20 per week??? please help me. UpWork is a competitive marketplace. Try joining a couple of freelance marketplaces with low-competition and search for jobs in your industry. Thank you very much for sharing your knowledge. I would like to change my lifestyle and earn money by online working as freelance. I would like to know what do you think about UX-Ui Design, referencing websites and 3D designer. I am interested in those 3 but Which one have the best demand and which one have the best paie. Thank you and sorry for my English. I am French speaking. Unless you plan on joining a web design agency, it’ll be tough to find UXD jobs as a freelancer. It’s not impossible, just difficult. Not sure what you meant by referencing websites and 3D designer though. Hi Roshan – your website is very informative. I am CRM SME has spent most of my career in package application till now. do I have an option to work as freelancer? You’re in luck. CRM is one of the fastest growing skills of 2017, according to a recent UpWork report. You should study HubSpot CRM. It has a high demand. your article is too good as read whole article line by line you have describe the exact feelings for beginners at freelancers “hard work” is the key of success. Hi, Roshan, Its nice to see you helping others. I also at upwork, but my skill levels are typing and internet browsing only, so no work there.. I want to learn something and earn, can you give suggestion please.. I have one question, learning app developing is eash na?.. i loved your site and it’s engaging content about Free;ancing. I need your little Help, i want to be a web and software developer freeelancer for which i’m confused that i should start freelancing or start developing new skills and sharpen old one’s. I’ll be thankful to you, please help me out. If you haven’t done any work yet, you should test out your skills. Design a free website template or collaborate on an open-source project on GitHub. It will help you determine if your skills are good enough. 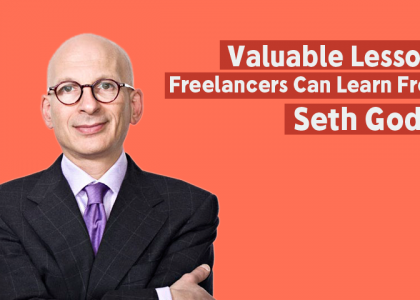 If you do a great job and get good responses from people, get started freelancing right away. Otherwise, spend time following online courses and polishing up your skills. #1.How can i be a successful in outsourcing? #2.Which job is perfect for me? #3.How much i can earn in 1 month?? Hello Roshan, your site is incredible, and I have taken some time to digest some contents in your website. I have been offering press release writing and distribution sites on fiverr, but recently there has been a decline in sales. I am Nigerian by the way, and I am doing my best to ensure that I come up with quality contents for my clients. My actual question is, are there any sites I could offer the above service which is less competitive than Upwork and Fiverr (I have tried upwork though yet no sales). I want to diversify and reach massive audience. If none, are there ways I can promote my service to get more clients willing to buy my services. I do not write generic articles, I am vast in public relations and I learn everyday. I really do not like being limited this much. Is there anything I need to know? Are there any resources that you have that would really help me out as a freelancer. Fiverr, Upwork, and Freelancer.com are becoming so saturated. I’m checking out speedlancer by the way. I’ll be expecting your response ASAP. pardon me if there are any typos in this comment as I did not take my time to proofread. Also, start a blog and start talking about your industry while sharing your personal expertise. Branch out from freelancing platforms. It’s never good to be too dependent on such platforms. You’ll never know when they might change their policies or even ban you for some obscure reason. Hey, Roshan! First: Your site is awesome, it condenses a lot of information and your writing style is very pleasing to read. Second: I want to make 50 USD daily by working less than 4 hours a day. I know some programming/music/math/English (not a native speaker) and I’m interested in design/writing. How much time do you think it can take me to reach that goal? I like studying a lot and I’m mentally prepared to dig into any profitable activity in depth. $50 per day is an achievable goal. Choose writing if you’re good at it. You don’t have to be a native speaker to write great content. First, build a great portfolio for your work. Submit some guest posts on popular blogs like Huffpost, Entrepreneur, etc. Depending on the industries you want to target. Then choose a good platform to promote your services (avoid common sites like UpWork). Speedlancer is an interesting site you should check out. It pays high rates for delivering jobs faster. How long it takes to achieve your goal will depend on how much time you can invest for working online and the quality of your work. If you work hard and have impressive skills, it shouldn’t take longer than 3-6 months. Don’t be afraid to charge higher rates. Hello, I like to organize things. What are things I need to learn to become a “computer software/apps” organizer? Is this what almost anyone can do that knows soft./apps. ? I am starting over in my life (single w/ children, behind in computer skills, very willing to learn, am creative and resourceful). I’m not quite sure what you mean by “apps organizer”? Send me an email and I’ll be happy to help out. Hello, i’m really excited when reading your posts. But can you give tips to new freelancers? I want to be freelancer but i don’t have past works that i can put in my profile. So how can i convince clients if i don’t have experience? I want to be a writer in marketing or copywriter. Roshan, what strategy did you implement to get high paying clients. Did you niche down to a certain type of content and apply for them on job boards? Did you diversify by having multiple accounts on various platforms? Yes, I did niche down to offering my services through just one platform. And I quit common freelancing sites like UpWork. Best decision I’ve made. I was able to raise my prices and get better clients who valued my work. I’m currently on Upwork and have gotten some decent clients through the site. I’m mostly taking screenwriting clients, but I think I could get more work copywriting. I am asked to ghostwrite and edit novels — as I am a published author — but no one offers payment that would make such tasks worth my while. 1) Should I stick to what I’m good at/know or should I try to diversify and get into more content/copywriting. I’ve done some work for a handful of clients in the area, but not a ton yet. 2) Where do you find these clients once you quit Upwork? I’d like to make a full-time income. I am working as an android developer and i like your site, which is only site of its kind i come across…you r really doing great. Pragmatic article discussing ups and down of freelancer. Academic degree have nugatory value in making money in online business. The best way to make money from freelancing is to learn from the own mistake and never give up.